Piers Francis has kicked a conversion. George Furbank sets up the try. Rory Hutchinson goes on his own for a try. Rory Hutchinson makes the break as the defence re-enacts the parting of the red sea. Fabulous play by Northampton has led to Ken Pisi being able to wriggle through a gap. Reece Marshall has made 10 good tackles so far this game. Gloucester sub Mike Sherry comes onto the field. 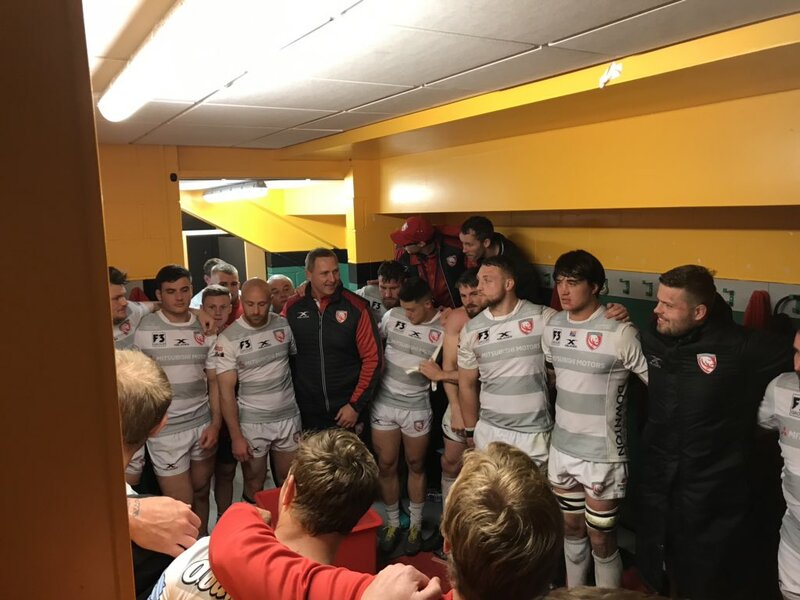 Franco Marais departs for Gloucester. Callum Braley comes on for Gloucester. Trouble here as Piers Francis breaches the defence. The Gloucester supporters go wild as Billy Twelvetrees successfully kicks the conversion. Nobody could stop that maul! Franco Marais places the ball down for the try. Northampton decide to make a substitution, with Alex Mitchell getting some game time. Northampton decide to make a substitution, with Cobus Reinach being replaced. Gloucester make a substitution with Tom Savage coming on. Gloucester make a substitution with Ed Slater coming off. Northampton sub Luther Burrell comes onto the field. 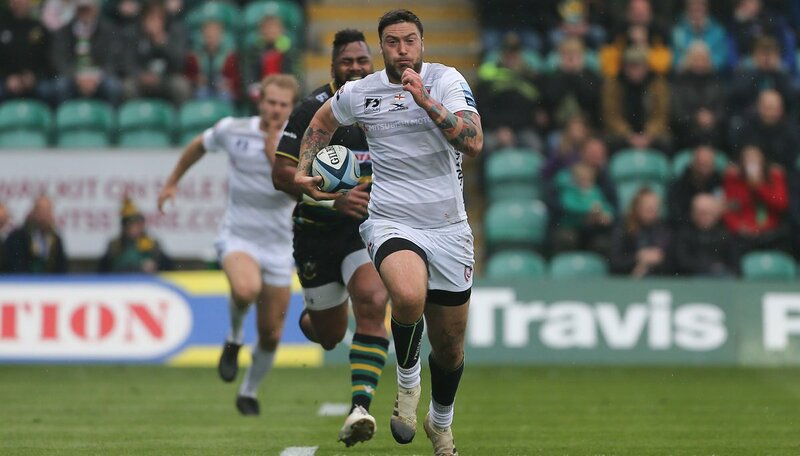 Lewis Ludlam departs for Northampton. Ben Franks comes on for Northampton. Paul Hill leaves the field. Francois van Wyk comes off. 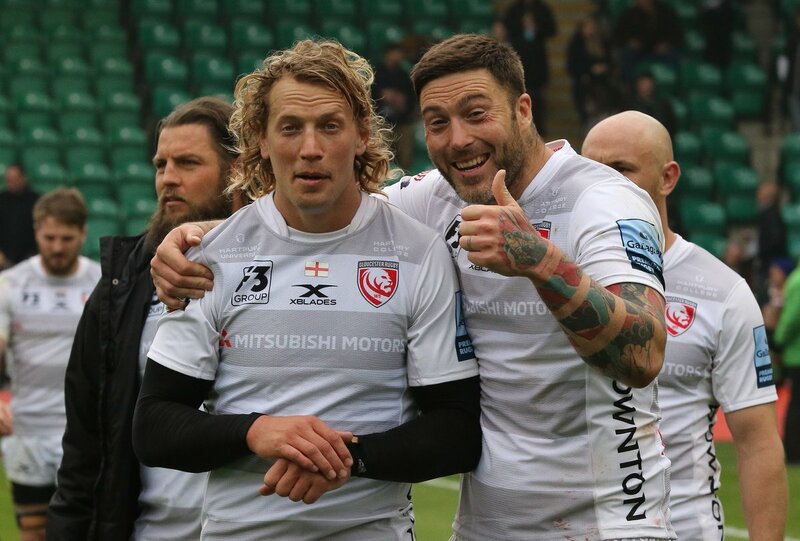 Gloucester decide to make a substitution, with Val Rapava Ruskin getting some game time. 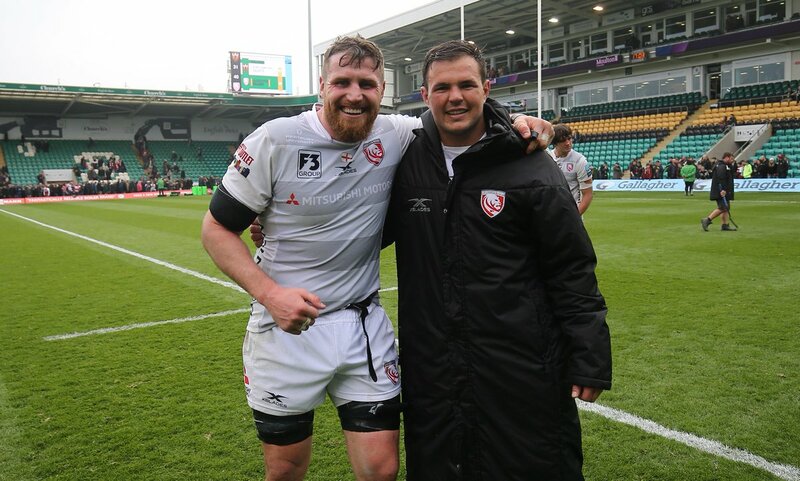 Gloucester decide to make a substitution, with Josh Hohneck being replaced. Dan Biggar curls the ball too far, missing the posts to the left. The Northampton pack has powered over for Reece Marshall to score the try. Gloucester make a substitution with Jake Polledri coming on. Gloucester make a substitution with Danny Cipriani coming off. Gloucester sub Tom Seabrook comes onto the field. Tom Hudson departs for Gloucester. 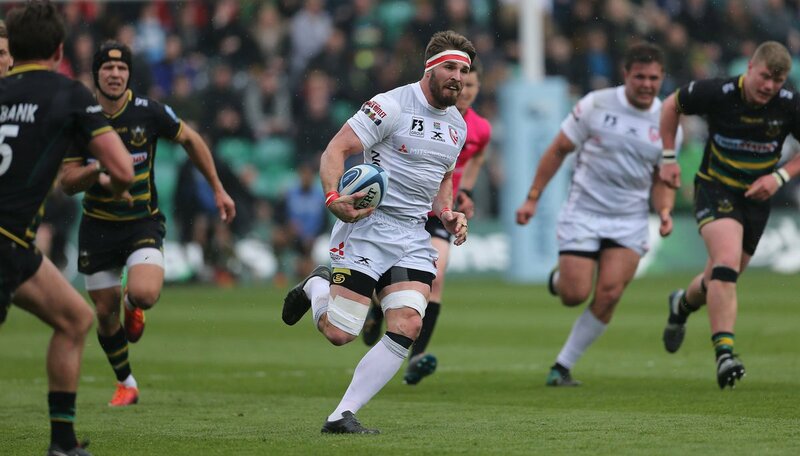 This is dangerous for the defence as Danny Cipriani bursts through to advance the Gloucester attack. A gap opened in the defence and George Furbank took full advantage. The defensive line has been broken as Taqele Naiyaravoro goes through the gap. Jamie Gibson comes on for Northampton. Lewis Ludlam leaves the field. Ed Slater scores the try from close range. What a run here by Fraser Balmain as they gets over the gainline!. Jaco Kriel sets up the try. Jaco Kriel makes the break as the defence re-enacts the parting of the red sea. Dan Biggar adds the two points for Northampton. Spellbinding play by Teimana Harrison is finished off with a try. A wonderful passing move by Northampton is finished off by Cobus Reinach. 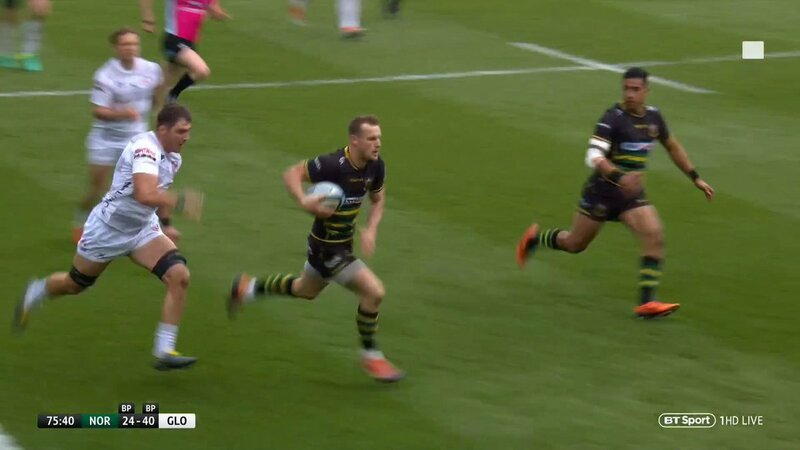 Fabulous play by Northampton has led to Teimana Harrison being able to wriggle through a gap. Taqele Naiyaravoro (Northampton) is shown a yellow card. 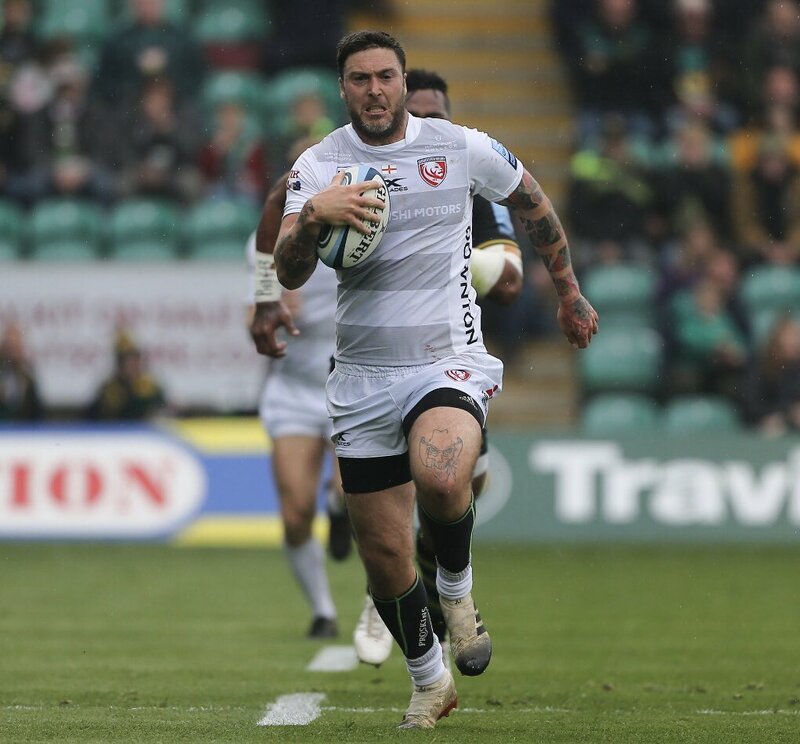 This is dangerous for the defence as Teimana Harrison bursts through to advance the Northampton attack. A gap opened in the defence and Cobus Reinach took full advantage. The defensive line has been broken as Jaco Kriel goes through the gap. Franco Marais played a key part in that try. A series of passes by Gloucester results in a try for Mark Atkinson. Dan Biggar converts the try. A bit of individual brilliance by Piers Francis leads to a try for Northampton. That's a great try assist by Danny Cipriani. Great hands by Gloucester leads to a try for Mark Atkinson. Dan Biggar has hooked the conversion to the right of the posts. Piers Francis sets up the try. A stunning solo try from Taqele Naiyaravoro. A gap opened in the defence and Taqele Naiyaravoro took full advantage. @OL_Roberts Hi Owen, you can email help@rugbypass.com at any time and they will close the account for you. @SophieNeal333 @duncankwood A tankard? No! A win? Yes! 💬 "The second half was far too stagmented for the tempo we wanted to apply." Stormers send men to the frontline. 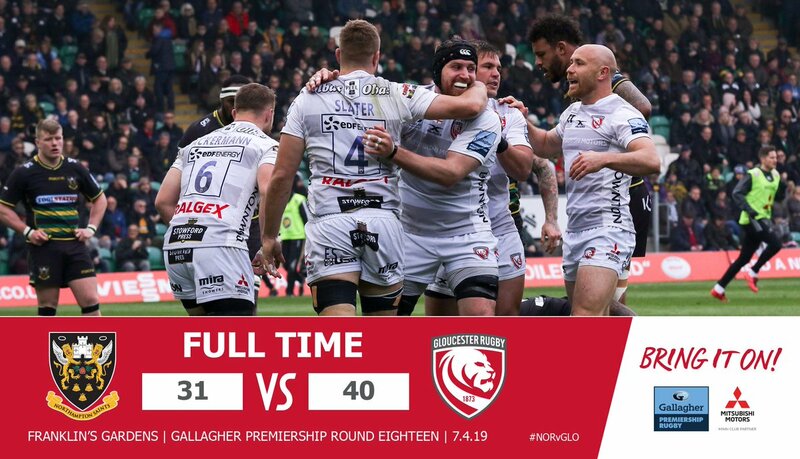 Cherry and Whites enjoyed that. 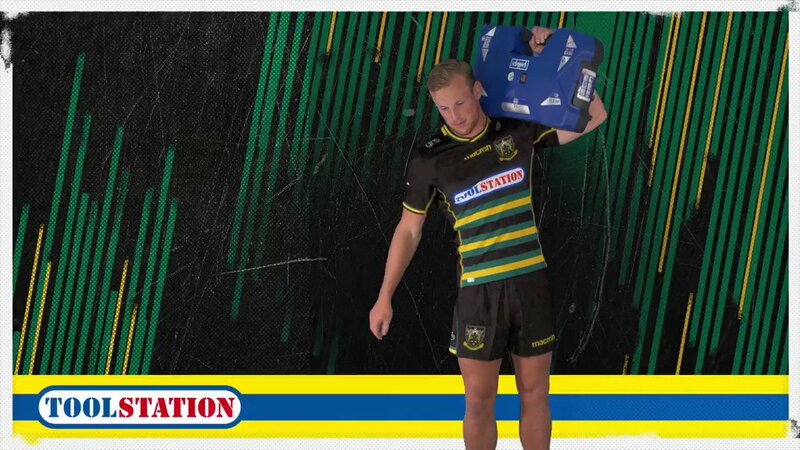 RT @btsportrugby: "If someone offered us this earlier in the season, we'd be very pleased! “One try is a rare one, let alone three! It was a good afternoon. 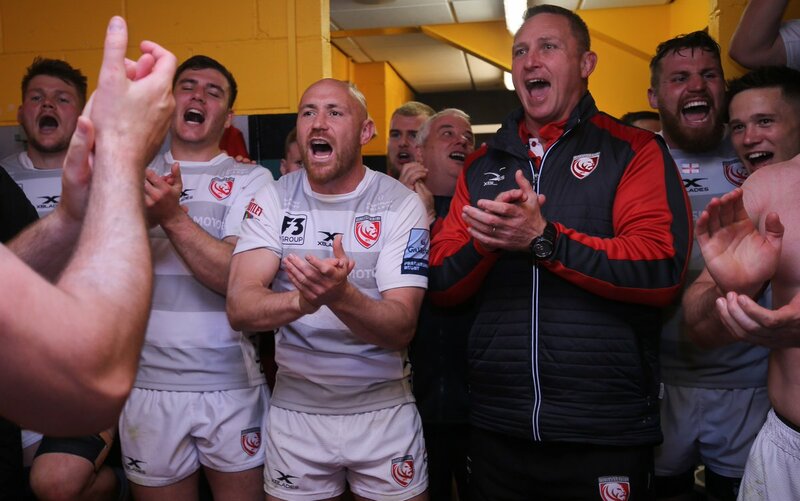 First win in Northampton since 2013. 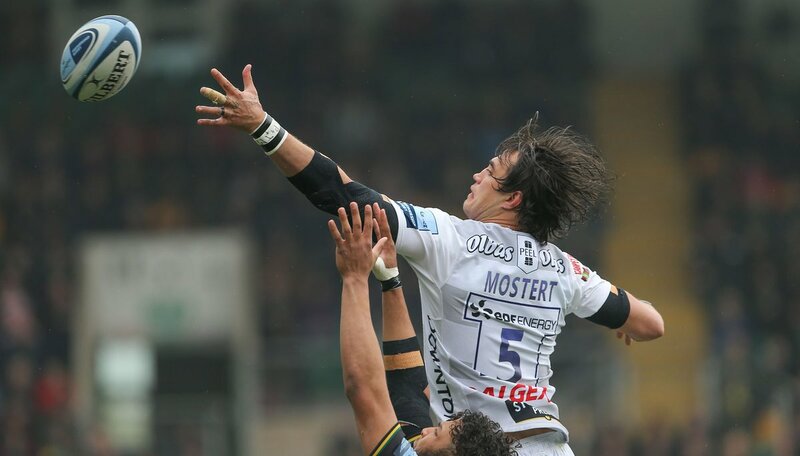 @jacok6 flying forward in attack for the Cherry and Whites.